Lat 6° 59' 27S Long 155° 53' 12E Ballale Airfield spans the length of Ballale Island. Also known as "Ballalae" or "Ballalai" (Solomon spelling) or "Ballale" (American spelling). Today known as Ballalae Airport. 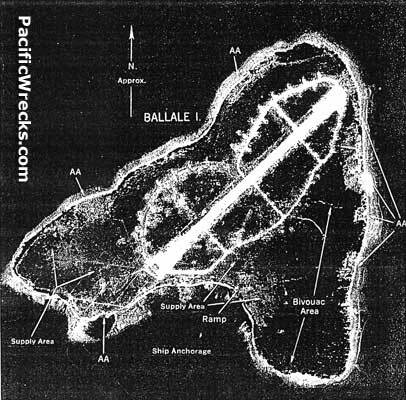 Prior to the Pacific War, Ballale Island was a coconut plantation harvesting copra. Before the start of the Pacific War, the plantation disbanded. On November 3, 1942 the Imperial Japanese Navy 18th Construction Battalion arrived at Ballale Island with a contingent of 370 personnel augmented by Solomon Islanders as laborers and later British Prisoners Of War (POWs). 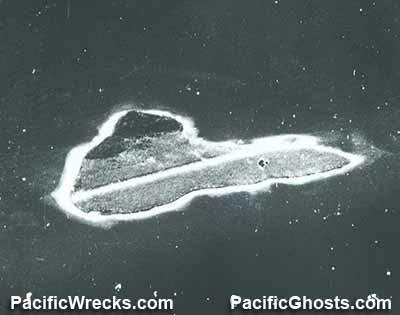 The Japanese began constructing a single runway that spanned the length of the island, surfaced with crushed coral oriented roughly northeast to southwest. As most of the island was a coconut plantation, the palm trees were cut down and towed away. 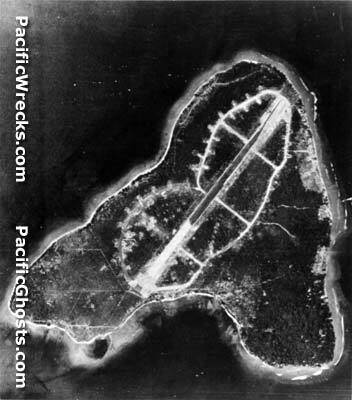 By January 1943, the airfield was completed. Landing mat (steel planks) were used on taxiways, and entaigo (revetments) for fighters and bombers. 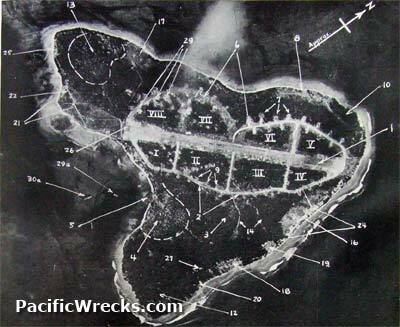 The Japanese code named Ballale Island "RXZ". On January 9, 1943 the first aircraft to land at the new airfield was G3M2 Nell piloted by Iwasaki. 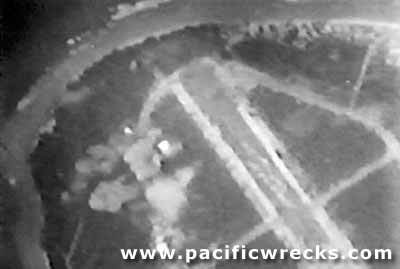 During 1943, Ballale Airfield was further developed and used as a forward airfield for both Imperial Japanese Navy and Japanese Army Air Force fighters and bombers. The island's garrison included both Japanese Army and Japanese Navy personnel. A contingent of 517 British Royal Prisoners Of War (POWs) that surrendered in February 1942 in Singapore and were detained at Changi POW Camp then shipped to Rabaul were transported to Ballale where they performed manual labor for the Japanese without medicine and were forbidden from digging air raid shelters. Many died from harsh treatment or during Allied bombing raids. The remainder were all killed around March 1943 when the airfield was completed and Japanese feared an Allied landing in the area. In addition, Chinese and Solomon Islander from the surrounding area labored for the Japanese on Ballale. The height of Ballale Airfield was during early 943, when it was used for bombers and fighter detachments (Southern Area Fleet Nanha Momen Kantai). During early April 1943 during Operation I-Go, Allied intelligence reported 95 aircraft on the island on April 6, 1943. Also on May 13, intelligence observed 96 fighters and one bomber, according to USMC records. After Operation I-Go, Admiral Yamamoto and his staff planned to inspect forward airfields to boost morale and praise the Army-Navy cooperation. On April 18, 1943 at 6:00am, two bombers: G4M1 Betty 2656 and G4M1 Tail 326 took off from Lakunai Airfield near Rabaul on a flight scheduled to arrive at Ballale Airfield at 8:00am. Instead, both bombers were shot down by P-38 Lightnings. G4M1 Betty 2656 with Admiral Yamamoto aboard was shot down over Bougainville. 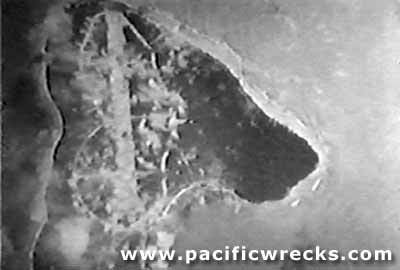 The other G4M1 Tail 326 with Admiral Ugaki aboard was shot down in the sea off Moila Point on Bougainville. Discovered by the Allies in the middle of January 1943, hundreds of bombing missions and fighter sweeps targeted the airfield. After the November 1, 1944 U. S. amphibious landing at Torokina on Bougainville, Ballale was was bypassed and left to 'wither on a vine'. "Dubbed 'Ballale Postgraduate School for Frustrated Anti-Aircraft gunners'. On the way home from missions we would strafe Ballale. I was never convinced that we did enough damage to warrant the risks, but I am certain our on going efforts inflicted psychological damage. Still I am not sure that it was worth the deaths sustained at the hands of their anti-aircraft gunners." By the middle 1943, the Japanese feared an American invasion of the island, due to increased bombing raids and sea bombardments. Around the middle of 1943, the remaining Solomon Islander laborers were sent away, and the Japanese executed the remaining British POWs. They buried their bodies in a mass grave, so as not to attract attention from cremation smoke. Later garrisons were made to believe or lied, saying they believed the graves were Japanese. By the middle of October 1943, Ballale Airfield was neutralized as a forward airfield by American bombing and strafing and the remaining aircraft in flyable condition were withdrawn northward. Although neutralized as an active airfield, anti-aircraft guns were still a threat. Cut off from resupply or reinforcement, the remaining garrison began cultivate crops to sustain themselves. Some Japanese attempted to swim northward on empty fuel drums to join Japanese forces on southern Bougainville. At the end of the Pacific War, the island's garrison was 480 Japanese defenders manning the remaing guns (321 from the 6th Kure SNLF and 159 from the 7th Yokosuka SNLF). On November 10, 1945 the first Allied troops to visit the island were elements of the Australian Army 7 Infantry Battalion. The landing party included Lt. General V. A. H. Sturdee (1st Army) and Brigadier A. W. Potts (23 Infantry Brigade). Ashore, the Australians immediately located the bodies of 57 prisoners killed on the island, and buried in shallow trenches. An atrocities commission was carried out on the island, that eventually led to the discovery of a mass grave of 436 bodies were exhumed with artifacts identifying them as British artillerymen, brought to Ballale from Singapore, where they surrendered in February 1942. They were re-interred in individual graves at the Bomama War Cemetery near Port Moresby, PNG. The remainder of the 517 British POWs have never been found. After the war, the strip was abandoned until 1973 when it was reopened by a grant from the British Colonial government. School children from the nearby Nila Catholic church were used to first clear the runway of bush and move live ordinance. Later, British engineers completed the work, and built a small terminal at the southern end of the strip and dock (now broken) for small boats. "The Japanese workshops still had tools hanging on the walls. Bulldozers, steamrollers, aircraft everywhere, you would not have believed it - frozen in time." "The most ironic memento of failed imperial ambition was a 'Betty" bomber on whose canopy a ficus had seeded, Its roots had wrapped around the fuselage and now lift the plane skyward once again! Nearby is the up tilted carcass of a 'Zero'. 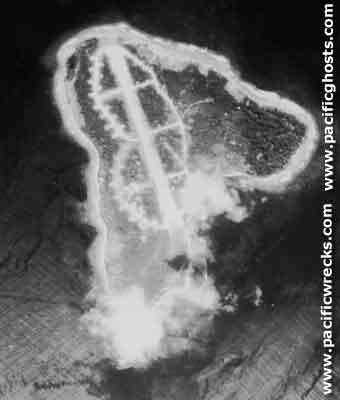 Half the fuselage is buried by soil thrown up by a nearby crater, the 'Rising Sun' emblem, still faintly discernible, is neatly bisected by the soil. The sun had surely set on that one!" Ballalae Airport is in limited use today by Solomon Airlines with bi-weekly flights providing air service to the Shortland area. Airport codes: IATA: BAS, ICAO: AGGE. The runway is 5' above sea level. Aside from passengers on the bi-weekly flights, no one lives on Ballale, and the rest of the island has reverted to dense jungle. Full of swamp and dense jungle, Ballale is notorious for scrub typhus, and other varieties of insects, diseases and dangers. Two anthologist that stayed overnight on the island, and died soon afterwards from the tropical aliments. Others report strange rashes, bites and infections from insects of the island. On April 2, 2007, an 8.1 earthquake caused a tsunami that hit the Western Province of Solomon Islands. Ballale Island's northeastern coast was hit by a tidal wave of undetermined size or strength. Luckily, since no one lived on the island, no people were injured. 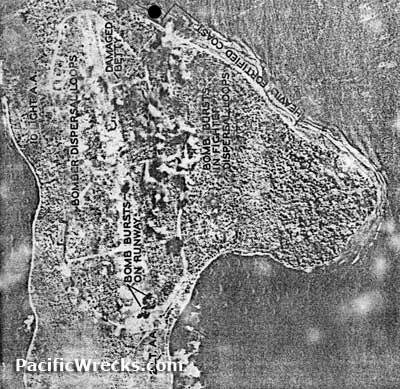 Several wrecks in that portion of the island were effected by the wave. When Australian forces arrived on the island in November 1945, 436 bodies were exhumed with artifacts that identified them as British artillerymen. They were exhumed and temporarily buried at the nearest Allied War Cemetery at Torokina. Later, they were permanently re-interred at Bomama War Cemetery outside Port Moresby, and are also memorialized on MIA Tablets at Singapore. In July 2003, relatives of the POWs visited the island and erected a memorial to them next to the terminal. COFEPOW - "The Gunners 600"